SeaMonkey project is a community effort to develop the SeaMonkey all-in-one internet application suite. Such a software suite was previously made popular by Netscape and Mozilla, and the SeaMonkey project continues to develop and deliver high-quality updates to this concept. SeaMonkey for Linux containing an Internet browser, email & newsgroup client with an included web feed reader, HTML editor, IRC chat and web development tools. 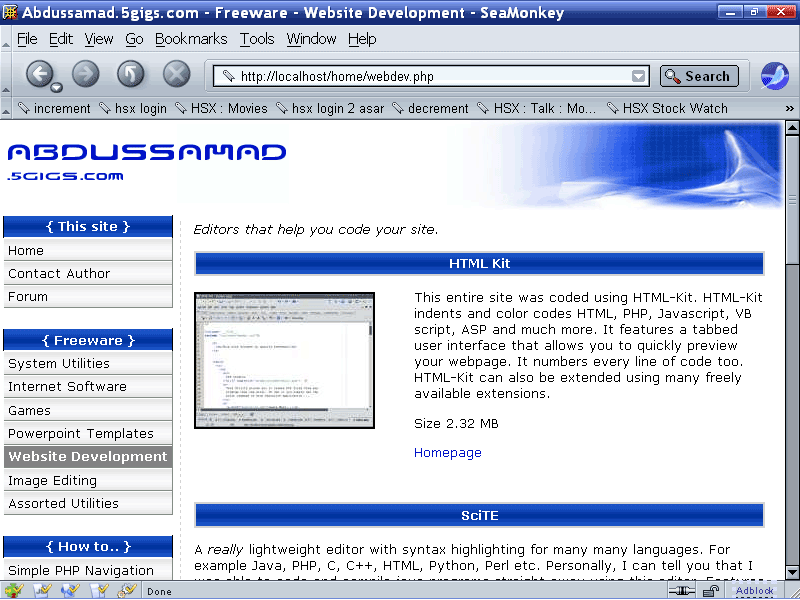 * SeaMonkey for Linux uses the same internal platform as Firefox 3.5.4 now. Due to this change SeaMonkey is now much closer to Firefox as far as user Profiles, add-ons and functionality of user interface elements are concerned. * The default location of user profiles has changed. Legacy profiles, e.g. from SeaMonkey for Linux 1.x, or even Thunderbird profiles, can be migrated automatically, excluding third-party add-ons (extensions and themes). The old profile will not be touched (instead, copies are made). * The new Add-on Manager allows to install, update, disable and remove extensions (add-ons), themes and plugins using the same mechanisms Firefox uses. This should ease extension management and development considerably. Qweas is providing links to SeaMonkey for Linux 2.9 as a courtesy, and makes no representations regarding SeaMonkey for Linux or any other applications or any information related thereto. Any questions, complaints or claims regarding this application SeaMonkey for Linux 2.9 must be directed to the appropriate software vendor. You may click the publisher link of SeaMonkey for Linux on the top of this page to get more details about the vendor.